Albert Einstein once said, “Everyone is a genius. But if you judge a fish on its ability to climb a tree, it will live its whole life believing that it is stupid.” There are many students, including me, who can relate to that fish. So, why are we being judged on our ability to take a test? In the past, standardized testing may have been the ideal way to judge a person’s intelligence. However, the world has progressed and needs more people who think creatively, innovatively, and critically. Originally, IQ tests were invented to predict academic performance and help people who were underperforming, gain more assistance. According to the Meyers AP Psychology book, after about a decade, education boards revised IQ tests to measure a student’s intelligence level. This led to the creation of the Stanford-Binet scale that would classify and label students based solely on their ability to perform well on a single test. Educators are so focused on teaching children how to take tests that they don’t teach students how to think for themselves. Standardized tests focus exclusively on common core classes, ignoring creativity and individuality. These tests do not allow students to express their own views or ideas. Instead, students are required to follow strict steps, allowing for no creativity or individuality. Don’t get me wrong, the common core classes are important but no more than art or music. Each student has different strengths, needs, gifts, and dreams. Standardized tests don’t account for those extraordinary skills or talents that students possess. Think of it this way, if a student wanted to major in music, why would they need to know how to prove a right triangle. Education boards often argue that the main point of standardized tests is to help teachers advance a student’s skills and understandings. However, usually, the test makers don’t have prior knowledge of classroom teaching. They believe testing the knowledge is not as important as locating the appropriate information to help a student succeed. This mindset has led to the neglect of students who do not reach the typical average of standardized testing. This results in low self-esteem for the students who are considered below average. Another negative factor is standardized tests are the same for every student, but not all students have the same abilities or opportunities. Some students deal with test anxiety which hinders their ability to complete the tests, even if they know the material being tested. Other learning disabilities, such as dyslexia and ADHD, can make taking the standardized test very difficult. Research has also shown that school districts in poorer communities, especially those of color, have fewer qualified teachers. In addition, these districts have inadequate books, laboratories, and libraries, but are expected to perform at the same intelligence level as districts with far more financial and educational resources. 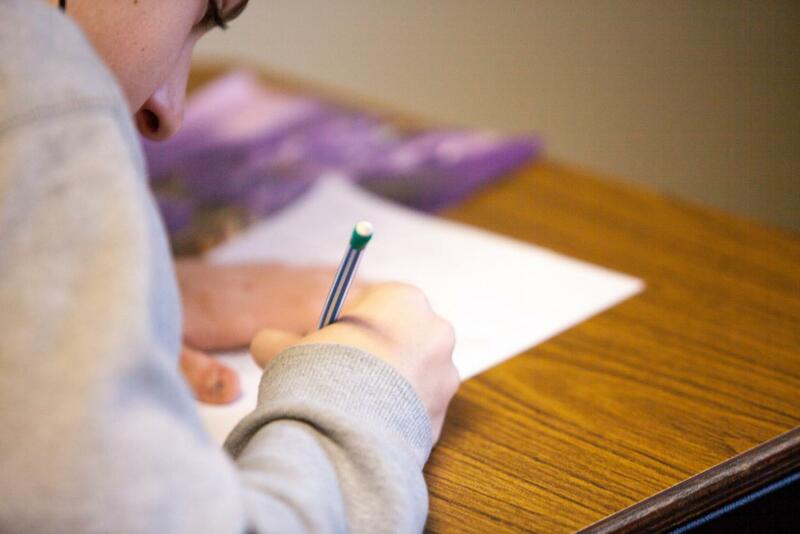 The American University has established alternative options to better standardized testing such as portfolio-based assessments and game-based assessments. Portfolio-based assessments give students the ability to select the topic that interests them and then present their findings. This method tracks a student’s effort and improvement over a longer period of time, resulting in a more accurate picture of their overall educational performance. With advances in technology, game-based assessments are a more modern way to go. The games would measure teamwork, stamina, and creativity without the need to interrupt a student’s learning. Adults always say your teenage years are the best years of your life. Yet, how can we enjoy them when our whole education has been turned into a stressful marathon of superficial thinking and filling in the bubbles? When are educators going to realize not everyone is standard? We all have different strengths and that’s what makes us special. Wonderful article. It’s just as you have written. Standardized testing is not the best method for assessing intelligence. Even though it is valid, it does not give any choice to the student taking the test. It’s like a do-or-die situation. Great article! it was well written and had very good points about the test and how it’s not fair. Keep up the good work! Great job. I too feel that standardized testing is a poor way to see how kids are doing. I think it creates more stress in students’lives and makes them not as confident in themselves as they should be. I gotta agree with you. Standardize testing doesn’t really show the students’ full potential and often times just creates unnecessary stress for the students. I feel that instead of focusing on the students’ ability to take tests and generalizing them, we should focus on their creativity and individual strengths. Great job on your article! I agree with many of your points. I think that schools and standardized testing should be improved to help ensure the development of all students. Great article Rachel! I agree that standardized testing is not always a good way to test student’s potential. Some students struggle at testing yet succeed in everything else with the class. Good work! Great article. I agree with you. Standardized testing is not always the best for some students. Some students get scared about tests and panic. I agree that we shouldn’t have standardized tests for every subject. If I’m in a writing class, I’m not expecting to have a multiple choice test. But some subjects, like math, need tests to see if you understand what you are learning. Alternative testing as you mention takes incredibly huge amounts of time to design, compile and complete, which equates to incredibly huge amounts of money. Standardized testing costs quite a bit to begin with, but what you suggest would be on par with AP tests, which cost $94 per student per subject. That’s assuming that schools could find enough qualified people to grade these kinds of individualized tests/assessments for every district in the nation. Teachers give students the kind of customized testing you suggest in their everyday classes, which is what they are graded on. Standardized testing is a measurement in time, or a benchmark if you will. Yes, there are students who don’t perform well because the tests are beyond their abilities, but the data isn’t used to make decisions on a per-student basis. Districts can manipulate the data and can pull out students with disabilities or ELL and look at how their regular ed students are measuring up on specific skills; they can focus their improvement efforts where they are needed. The reason the tests cover Math and English is because those are life skills you need to succeed, regardless of your future educational or career aspirations. I can honestly say that pretty much everything I was ever asked on a standardized test, especially on the ACT seventeen years ago has actually been necessary knowledge. The application of the knowledge ranges from the use of specific facts and processes all the way to general knowledge that allows me to have enlightening conversations with others. There are obviously a plethora of other skills that I possess that have helped me succeed, both personally and professionally, but many of those skill were still in the early stages of development, even in high school, or as you state, would not be applicable depending upon your future plans. There is no way to adequately assess all students’ skills on all topics across the board, and schools main focus right now is to close the gap between the highest and lowest scoring students on a basic level of knowledge that all our students should possess. They need data to define that gap and standardized testing provides that data in the most reasonable and reliable way.